Sometimes the most simple displays are the most effective, and this is perfectly summarised in our Autumn Rose Cube. We celebrate the classic English rose with a burst of orange, peach and red blooms, all given a seasonal twist with the blushing buds of hypericum berries. Brimming with flora and encapsulating the quintessential colours of an autumn, this is a display that bursts with character. Deep scarlet roses look wonderful against the natural green foliage, while the softer coral petals add a soothing touch. 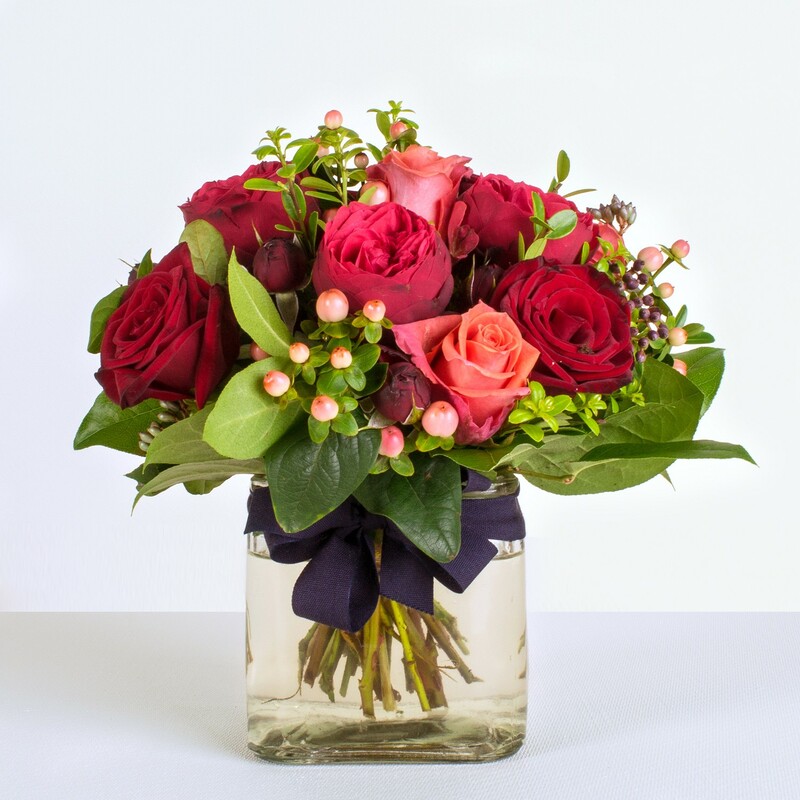 We have presented this arrangement in a chic and contemporary glass cube, so as to let the flowers centre stage.